“After all is said and done, you are just like me,”that was Amir, the suicide bomber from the trailer of ‘The Delivery Boy,’ the new film by Adekunle Adejuyigbe. Popularly known as Nodash, Adekunle writes and directs a gripping story that captures betrayal and humanity, exposing the dangerous culture of silence in the midst of evil. The thriller/action movie is about Nkem, a young prostitute and Amir, a suicide bomber who ran away with a bomb vest the night before his mission. Jamal Ibrahim plays Amir and Nkem by Jemima Osunde, with the film set for release in May 24, 2019. But does Amir actually have a point? We have heard many stories of young boys and girls in the Northeast Nigeria who are turned into killers, blowing up markets, parks and roads. In many cases, these are children deprived of quality education, healthcare, food, among other basic necessities. How did they become the stories we heard? This trailer starts out as a monologue, stretching towards a crescendo that culminates in what looks like a very violent scene. So why does he really believe that we are just like him? 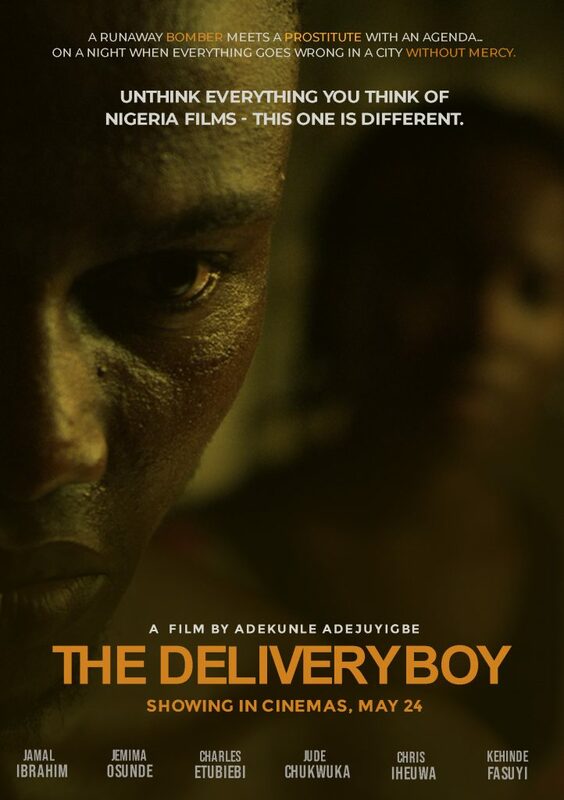 The Delivery Boy premiered in Nollywood week Paris in 2018 and has shown in various international and local film festivals like the New York African Film Festival since its world premiere. It has also won awards such as “The Best Nigerian Film Award” at The African International Film Festival and “Best Supporting Actor” at The Real Time International Film festival (RTF) since its release. The delivery Boy, features other actors such as Charles Etubiebi, Jude Chukwuka, Chris Iheuwa and Kehinde Fasuyi.